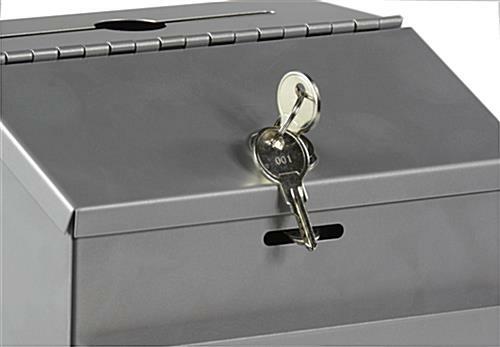 These Metal Donation Boxes Feature A Hinged Locking Lid With A Set of (2) Keys Included! Purchase These Collection Bins For An Affordable Price Today! These Metal Donation Boxes Ship Quickly When In Stock! 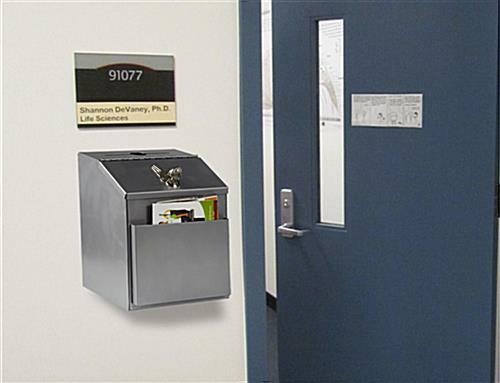 These metal donation boxes, also known as lockable suggestion holders, each have a hinged locking lid. A set of (2) keys for the lock is included upon purchase. These metal donation boxes that have a textured silver finish look great in any environment. Use these items at offices, church events, and school functions. 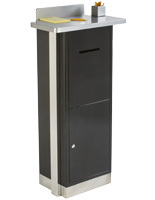 These multiuse metal donation boxes can be used to gather suggestions for improvement, financial contributions or contest entry forms. 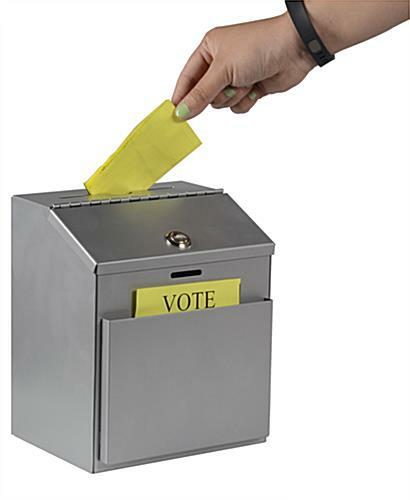 These ballot holders collect feedback and gifts in a secure and professional manner. These metal donation boxes that have a front pocket are ideal for holding suggestion forms or gift envelopes. These comment holders allow for anonymous feedback from employees or customers. Display these metal donation boxes on the countertop or mount them on the wall. All necessary hardware is included for mounting the bins on a wall. These items will keep contents safe from theft and tampering. 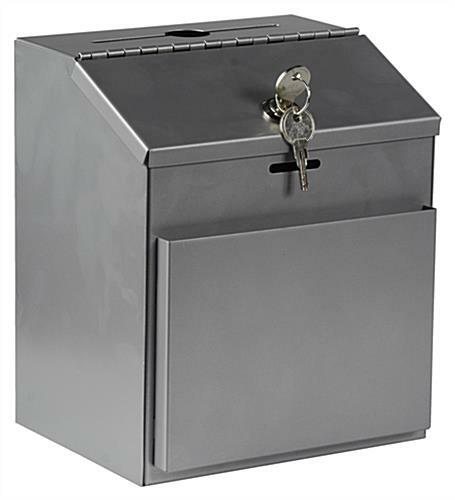 These lockable metal donation boxes are ideal for collecting donations or suggestions in public places. These collection bins are designed to withstand years of use. 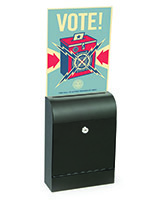 Easily transport these metal donation boxes that are 7-1/8" w x 8-1/2"h from event to event. 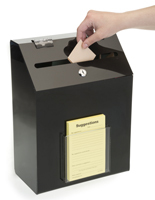 Gather comments, entry forms, and financial gifts in an inconspicuous and safe way with these ballot holders.